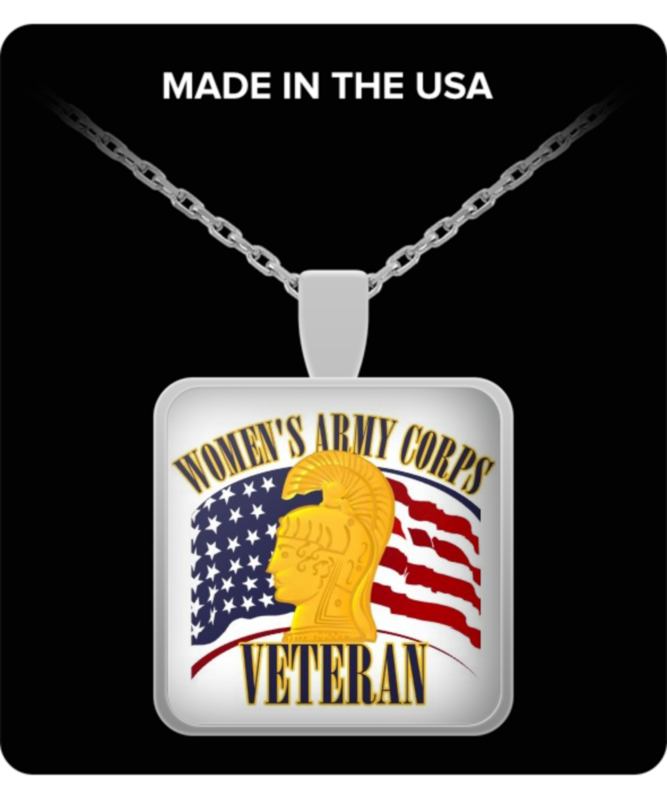 Special Edition for Women's Army Corps Veterans. It was a gift for a former WAC. She loves it. Beautiful. I like this necklace...lightweight, represents my past WAC history...am pleased with your product and delivery...thank you. I have two different WAC necklaces now-both ordered from you. I really like both, but I prefer the rectangular necklace because it is more visible due to colors! I wear both often-usually with my WAC shirts. I have out of the Army for many years, but the necklaces bring back good memories!